The IONIC range of nutrients from Growth Technology is a popular choice for discerning growers. 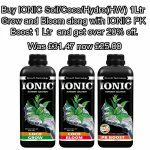 At Addloes we’re having a special offer on a combination of IONIC nutrients. 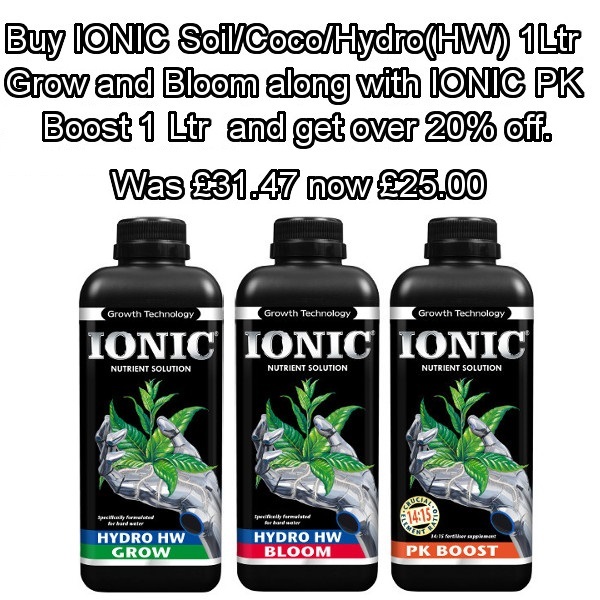 Whatever medium you prefer to grow in, Soil, Coco or Hydro(Hard Water variety only), simply choose a combination of the 1 Ltr Grow and Bloom. 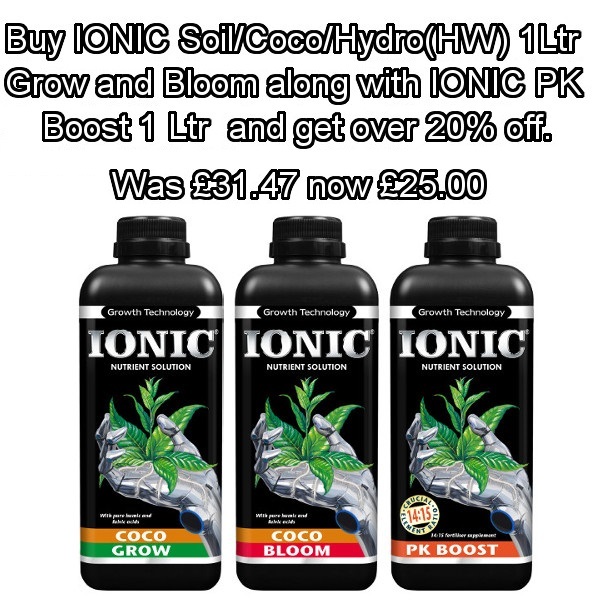 1 Ltr of IONIC PK Boost is automatically added and get over 20% discount on all three products. Simply choose your growing medium from the drop-down list of options(below) and that’s it! with 1 Ltr IONIC PK Boost.